I have not had any problems with their Trout to date. Be prepared they are quite small maybe 2cm that is why they are cheep. But no losses so they are good quality. Steve did you get a reply from SA Fly Fishers Association. This twit intended to post a reply in the South Australian Section but started a new topic instead. So if you are interested in 2cm Rainbow Trout then here is the topic. I've been looking into possible fish species to populate my soon to be built system and was wondering if anyone has had any experiences with catfish? It seems from the forum that they are hard to get hold of, keep or a combination of the two. Hi all, I have been reading a little on AP and now finally doing my first set up. So far only started digging the hole for my 2000l poly tub. Want to run the system totally off 12v and solar. I am in the SE Barossa region. More questions to come once I start getting things in place. Has anyone tried Chinook Salmon in SA? I live in Mt Barker, Sth Aust. Designing my aquaponics system now. Disappointed no descent components suppliers left in Adelaide for tanks and grow beds so, making my own. Aiming for 2000L tank, swirl filter and two big grow beds to start. Not sure how to select the right size plumbing. Was thinking 25mm. Or should it be bigger? Any advice? It really depends on how you're setting it up, for beds, distance from beds, etc. Sorry, that was a crappy answer, meaning that if the beds are over the top of the fish tank, it doesn't need to be as big. If you've got the beds to the side, you'll need a bigger gravity fed pipe to move the water around. I live at Meadows. Have just built my own system and used various sized poly pipes for different sections 25 mm to the tank from the pump which is 3 metres long and 13 mm for the grow beds which are much shorter. My rigid pipes are much bigger. 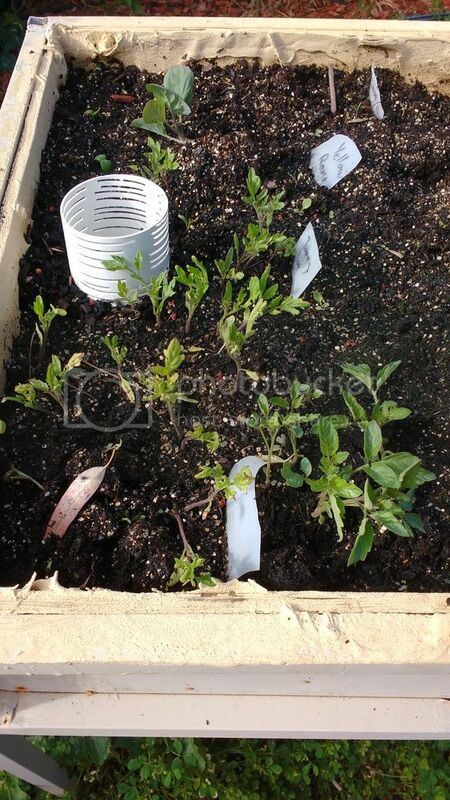 Anybody want some tomato seedlings? I've planted too many, and it seems like a waste to throw them out. I've got some himalayan yellow tomatoes, tommie toe, indigo rose, and a few others. Hit me up if you're interested. I just saw your photo wondering what do you use for growing media or do you use a seed raising mix just for growing seeds. Is this connected to your system. It's got a mixture of coir peet & vermiculte, and set up to a timer, goes off three times a day, and returns the water back into the system. just watched your video will look at your youtube channel later. system over the traditional seed raising. We are currently having a low success rate so looking into better way to increase our yield of veggies. Question i now need to ask anyone what stock of fish you place in your tanks during summer. We need to restock. Hubby managed to kill all but one rainbow trout. We are learning from our mistakes. Currently we have some marron that need to go into the tanks but unsure what our summer will do with the fish. maybe a guide of when to re stock and what type of fish. 2. The serious lack of cheap IBCs around Adelaide. Was wondering if anyone here had any contacts that they have used to get hold of IBCs that I could use?